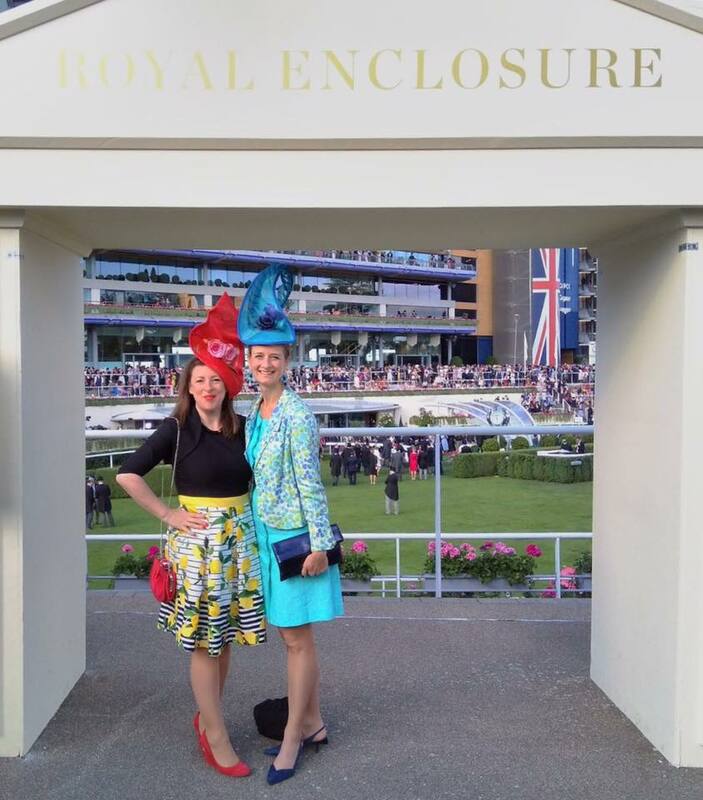 Ascot season is over sadly, but we had a wonderful time watching races with such clement weather, admiring attendees’ gorgeous outfits and hats (especially, shh). We hope you enjoyed it as much as we did – in case you couldn’t go this year, don’t worry, we have selected a few hats that we created especially for clients. As well as a few of other lovely pieces. Belinda Strudwick and her Daughter Alexandra Strudwick on the Balcony at Ascot. Belinda Strudwick in a Catherine Walker dress and her daughter Alexandra looked gorgeous. Both wearing Katherine Elizabeth Millinery hats, featured in Harpers Bazaar! Our client Anna Beaumont wearing one of our hats with a matching corsage and Marina Rinaldi outfit. Doesn’t it look lovely on her? Ashley Morton Hunte wearing a Katherine Elizabeth Milinery red hat during Royal Ascot, looking after the Royal Family. A few pictures of Ashley Morton Hunte looking fantastic in Katherine Elizabeth hat, made from sinamay straw, feather flowers and animalistic curled quils. One of our beautiful clients Cassi in a Katherine Elizabeth creation from the 2018 summer collection. Another client on her way!!!! Helen Exell looking wonderful in one of our red sculptural pieces. Kelly akehn and friends having a wonderful time! Georgina Boden from Exmoor Caviar looking fantastic! Her Majesty The Queen at Royal Ascot this year - we love the elegant combination of colours of her hat. Award-winning designer Katherine Elizabeth with Sophie Bedoret, who created her hat in one of our millinery classes! We also saw the craziest hat of the season, we couldn’t help take a picture of it! 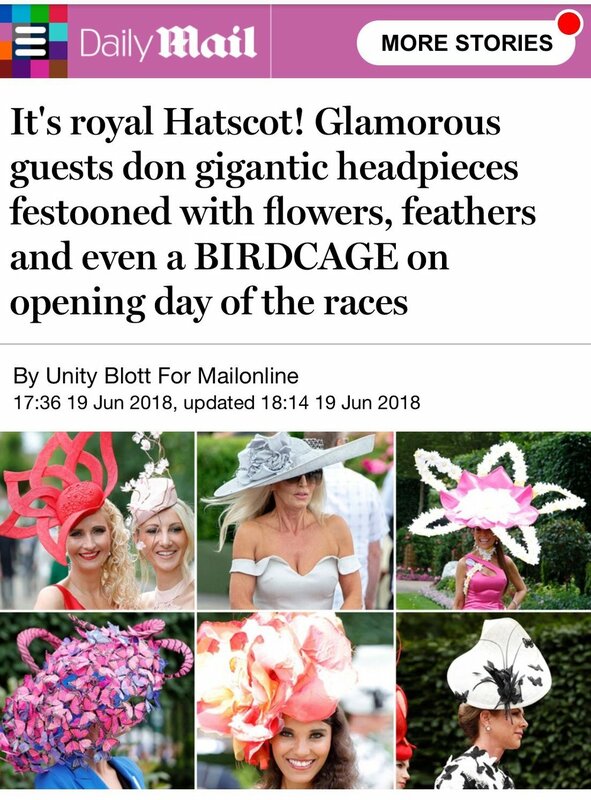 Another one of our hats in the Daily Mail. 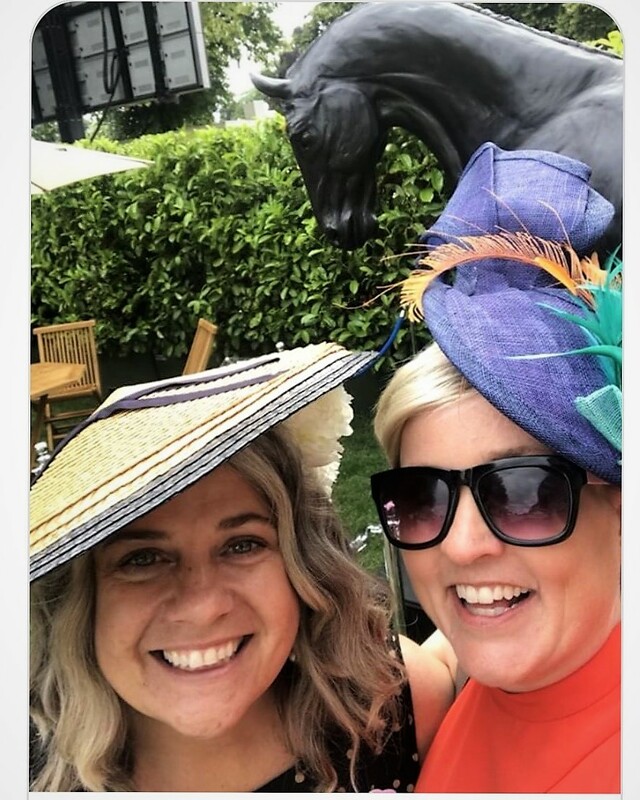 So, what did you think of Royal Ascot? Did you like the millinery this year?